Overwatch's hard working, hard partying support arrives in the Nexus. Hot on the heels of Tracer and Zarya, Heroes of the Storm’s latest Overwatch character is comin’ at’cha: Lúcio is the last addition to the game. Just like in Overwatch, he’s a support that passively heals or increases the movement speed of nearby allies, although he’s now got a few new tricks. Those who have played Overwatch should recognise the Freedom Fighting DJ’s abilities and playstyle. When running next to a wall or structure, Lúcio wallrides it, increasing his movement speed and gaining the ability to walk through other units. This makes him one of the more slippery supports if he’s being cornered, but the downside is that he cannot ride a mount. Lúcio knocks back enemies in a small cone in front of him and deals a small amount of damage to them. No knocking people off ledges here: this ability is pure disengage in Heroes of the Storm. With W, Lúcio swaps between his two tracks. The green one, shown in the bottom left or through the aura around Lúcio, increases his and his allies’ movement speed, while the yellow one heals allied heroes by a (very) small amount constantly. This does not cost mana. For a brief duration, the effects of Crossfade are greatly increased: the movement speed aura gives a higher boost, while the healing aura becomes much more effective. The first heroic ability for Lúcio, Sound Barrier, is straight out of Overwatch: he gives nearby allies a huge shield that decays over time. It doesn’t quite have the range you’d expect from Overwatch, but it's still a massive shield for all nearby allies. The second, however, is new: Reverse Amp causes Lúcio’s Crossfade to do the reverse of its current effect to enemies. When using the track to speed up allies, it will also slow enemies by 45%. When using the track to heal allies, it will also deal a large chunk of damage to enemies every second. This provides a take on the character not seen in Overwatch: an aggressive and offensive Lúcio. That said, he still functions the same way, and Lúcio veterans will find him easy to pick up. Unlike other supports, Lúcio is able to heal the whole team at once, but has to position himself correctly to do so, and learning to master that positioning positioning is key. He’s at his best when the team doesn’t spread out too much: a diving hero like Sonya or Illidan won’t be complemented too well by Lúcio, as he’s too squishy to stay in the middle of a fight. Instead, a ranged backline to dish out damage and a strong line of defense in front are what Lúcio needs, so he can straddle that gap between them and keep the whole team in his aura. That said, he’s effective against some heavy engage: both Sound Barrier and Reverse Amp act as a great way to force the enemy to back off or keep your allies alive. Getting a feel for which heroic to take is something that will take some time and a few games with Lúcio, but he can very effectively stop a dive if suitably prepared. Lúcio has a few major drawbacks, though. First of all, he’s got a low health pool and low range: he’s got to be near the fight, but dies quickly if caught. Being able to position in such a way to prevent that is mandatory. On top of that, he lacks Cleanse, a key level 7 talent that most supports take. 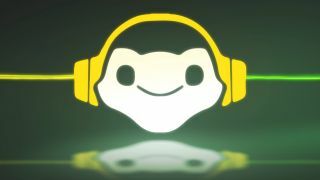 Finally, his healing is easy to play around - unless Amp It Up is on, Lúcio can’t heal much, meaning teamfights will often go in his enemy’s favour. With a reasonably long cooldown for Amp It Up, a team with strong engage can take advantage of this. For most team compositions, Lúcio is the catalyst: he helps his allies get the job done, with health, movement speed, and either shields or debuffs and damage against the enemy. He’s a support that fills the “what should our fifth hero be?” role in draft when you’ve already got your damage dealer, tank, and support, especially if the enemy want to dive in with strong engage. And, of course, he helps the game sound damn good.